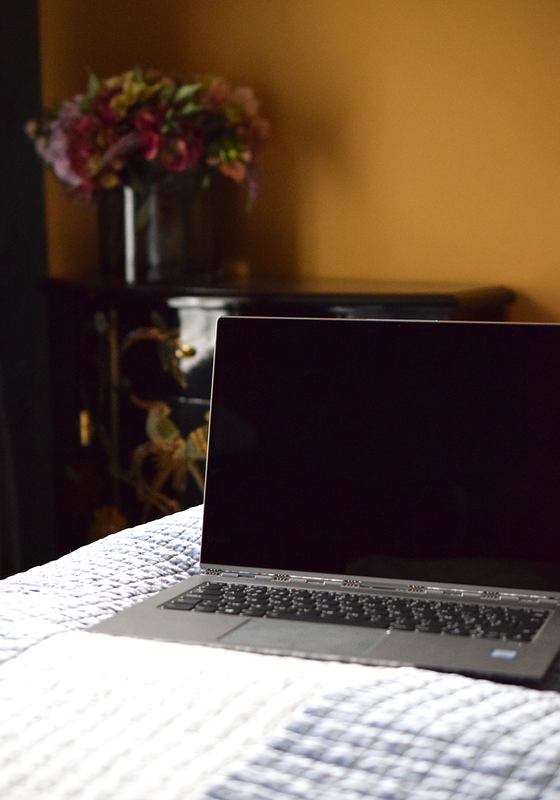 As my old desktop was in desperate need of replacement and I was getting quite tired of the inconvenience of not being able to finish up my work on the go, I had been on the lookout for a decent laptop for quite some time now. 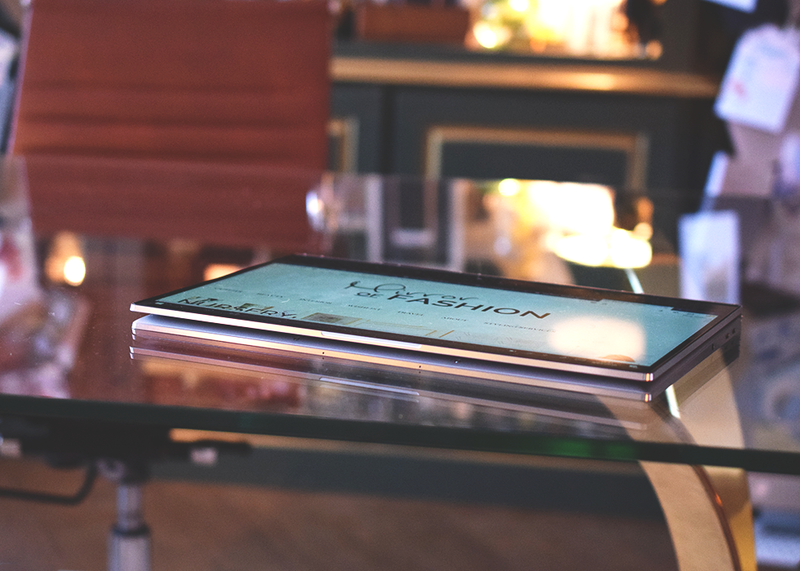 Last year I welcomed the Lenovo Yoga Book as a very handy extra in my personal office supplies collection and as its performances keep surprising me day by day I was rather easily convinced of expanding the Lenovo family when deciding on what laptop to invest in. 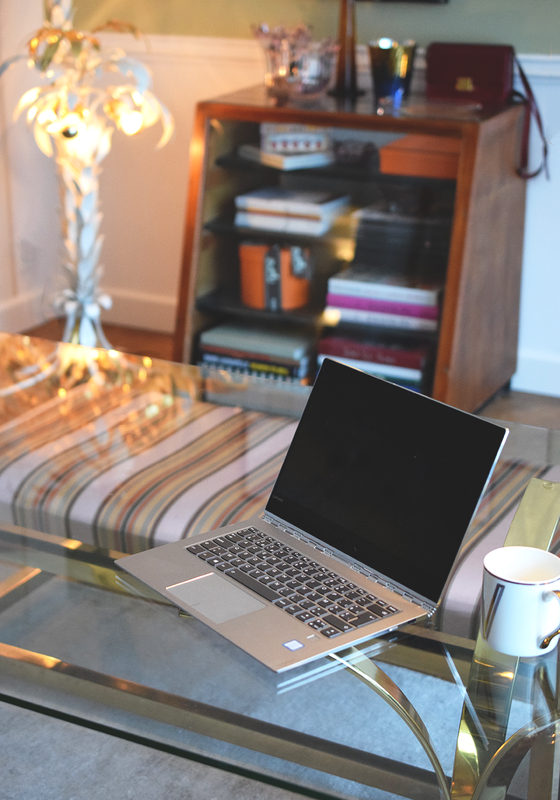 As soon as I found out Lenovo had produced another convertible laptop a few months ago, I knew this was going to be my newest companion. 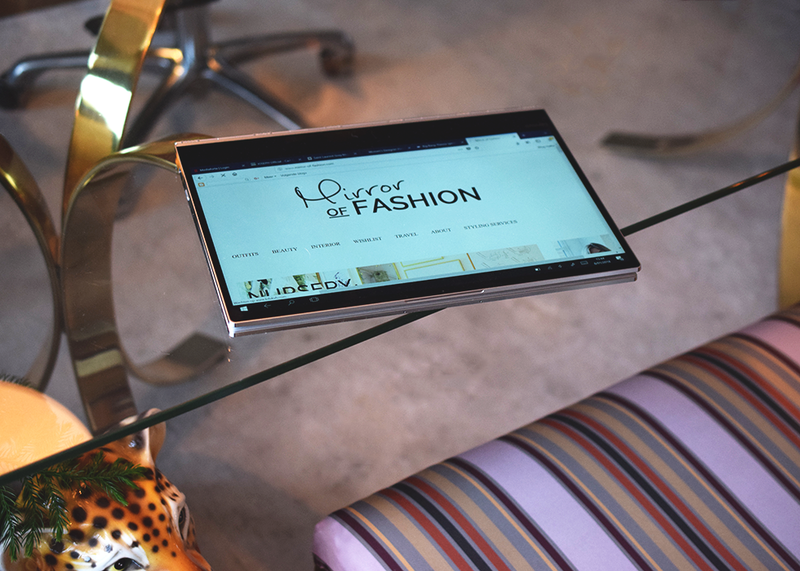 The Lenovo Yoga 920 is a 360 degrees hinged 2-in-1 computer that comes with a slim attractive and bold design. Because of the screen that flips fully behind the keyboard it's a laptop with tablet functionality which serves me day to night. 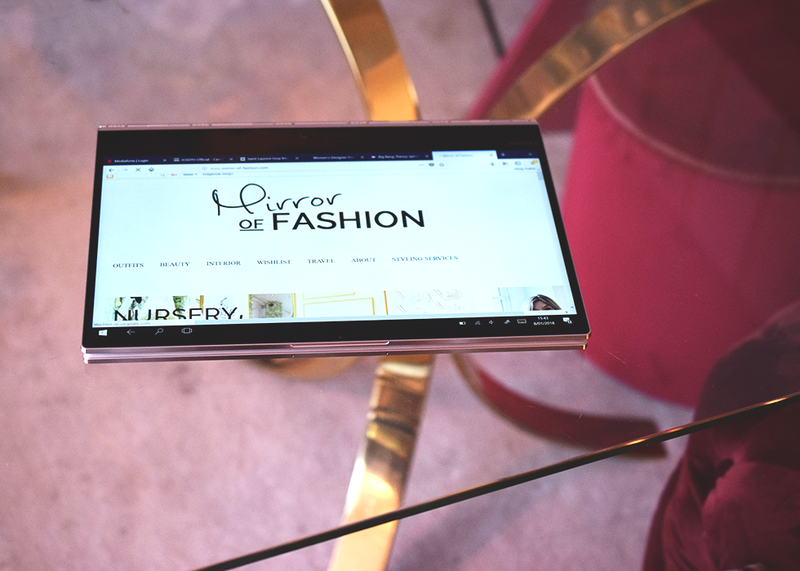 Today I wanted to guide you through my daily routine and how the Lenovo Yoga 920 made my life, both work wise and personal, so much easier. Starting the day by putting on my newest device with its fingerprint sensor. Still in bed I like to spend half an hour on scrolling through my emails, answering and marking the most important ones. 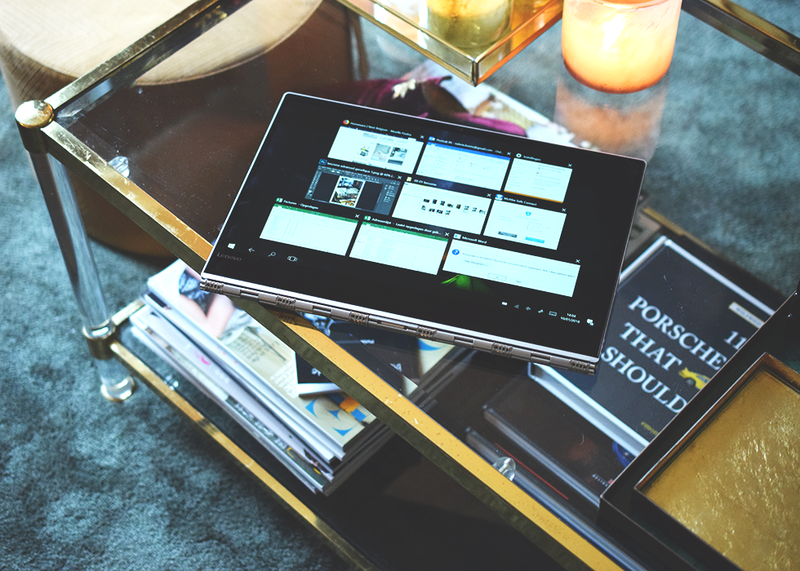 The Lenovo Yoga 920's lightweight and compact design definitely makes it the easiest to live with. On the plus, the battery life allows me to leave the charger downstairs at night. Behind my desk, ready to tackle all my tasks. 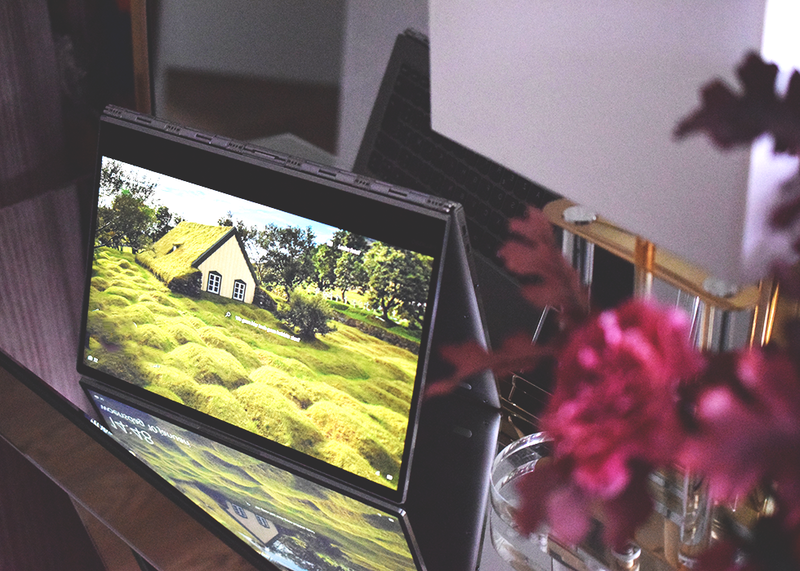 The Lenovo Yoga 920 is a high-quality device delivering excellent performance, even when powering through my heaviest workload apps like InDesign and Photoshop. 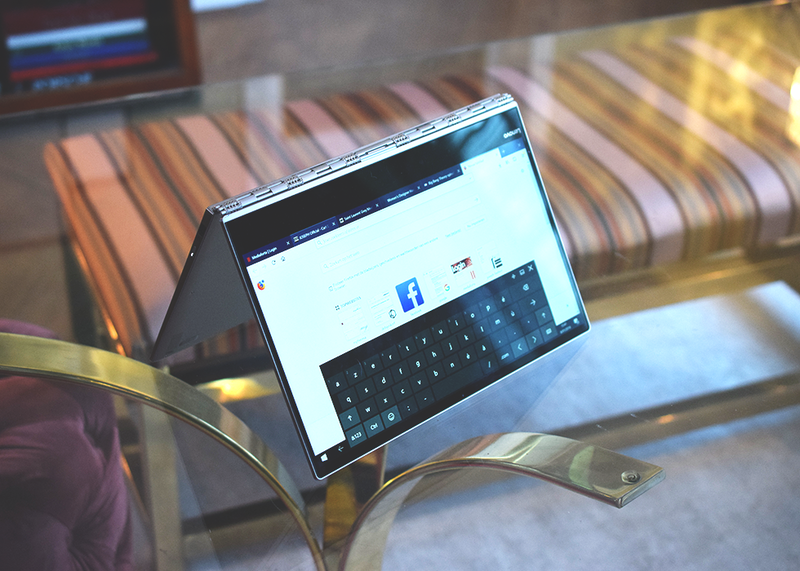 Being able to flip the screen a full 180 degrees makes the Lenovo Yoga 920 ideal for work meetings with presentations as well. 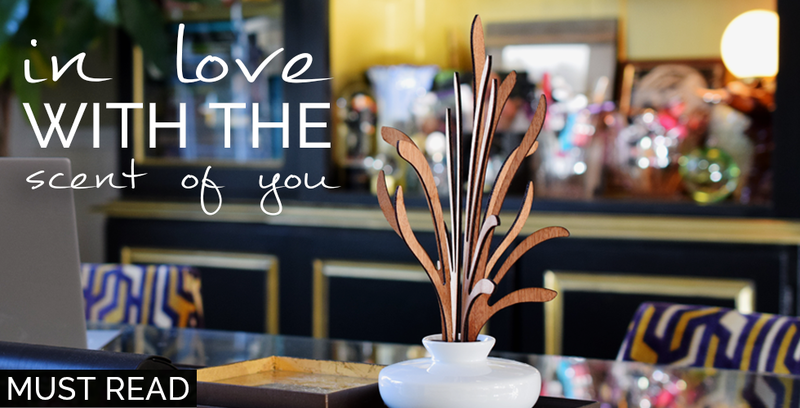 Drawing and designing is usually something I like to end my work day with. 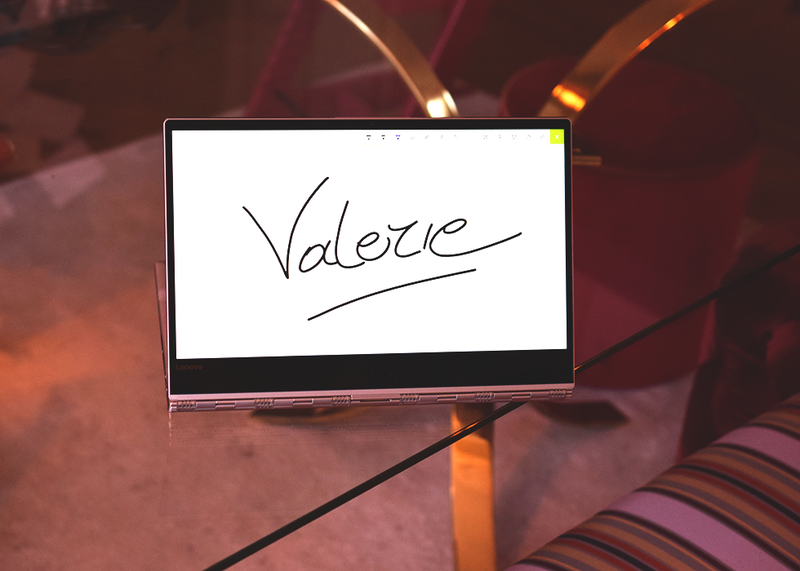 The Lenovo Yoga 920 comes with an active pen which alllow me to choose between tapping the screen with my fingers or using the pen for drawing with ease and keeping up with all my scribbles. 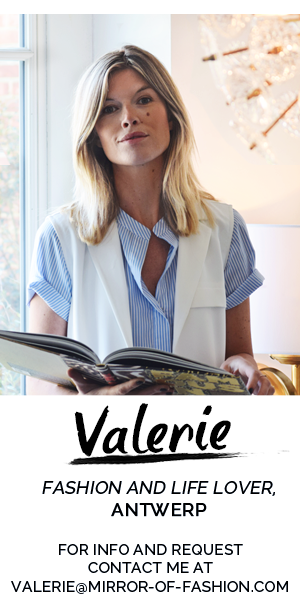 I move to the living room for some unwinding scrolling my online shops of choice. The stellar build quality and full HD display make all the clothes and shoes on my radar stand out even more. Off to bed and taking my Lenovo with me for catching up on my favorite vlogs. The pleasing sound and full soundstage together with excellent viewing angles result in the perfect companion for ending my day with as well. 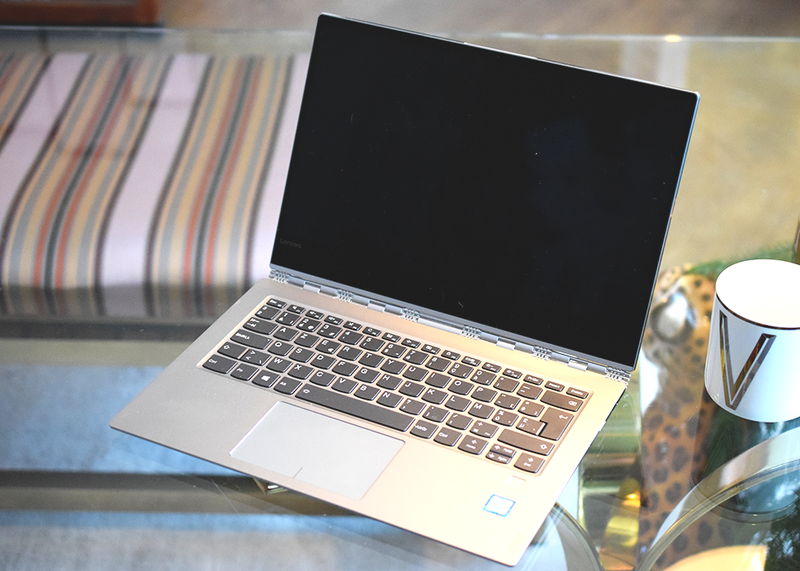 One thing's for sure; with the Lenovo Yoga 920 you sure get your money's worth!